Say what you will about Barbie, but that girl knows how to market herself. 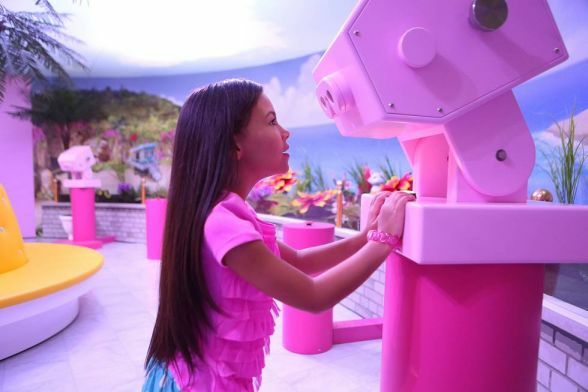 Sure, I could bash the notion of a pink themed house filled with physically disproportionate plastic dolls wearing skimpy size -Zero clothing, but you guys are smart, and I’ll leave you to draw your own conclusions. 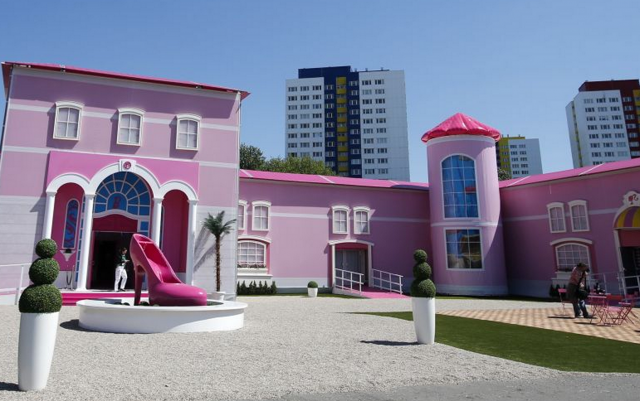 Instead, I’m looking at the giant pink behemoth that is the Dream House (a European version in Berlin and another one in Florida) and getting a big case of pink-eye. 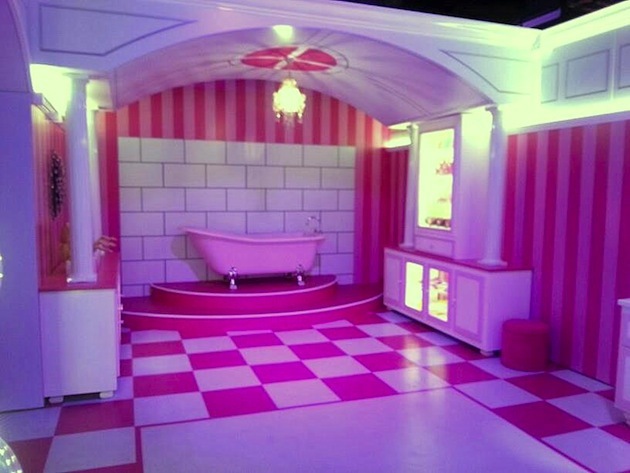 Modelled on Barbie’s Malibu Dream House (would have been interested to see the architects blueprints) the Berlin DreamHouse opened May 16th, 2013 and features 2,500 metres squared of pink frothy stuff you can touch, taste and obviously. buy. Well, Mattel isn’t a charity right? The Florida DreamHouse (opened May 8th, 2013) is pretty similar to its European cousin. Both offer ‘life size’ rooms (well, it’s a house) decorated with everything a Toys-R-Us child is familiar with, on an adult scale. What I think is pretty cool about this is the RFID pink wristband all visitors receive on check in. 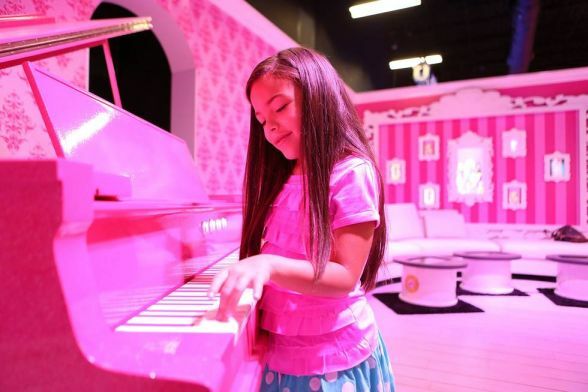 The DreamHouse offers interactive experiences at the ‘Dream Stations’, allowing a semi-custom adventure. By this I mean that you input details such as name, gender and language and then the bracelet will interact with you AND the LED touch screens around the house. 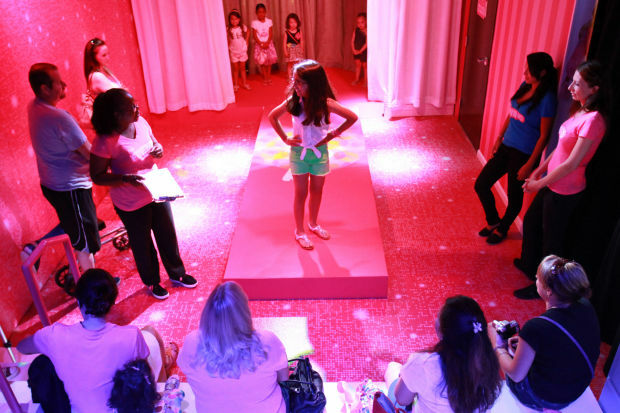 Other Barbie-licious options include the Barbie Entertainment Zone which offers mirrors, makeup and a catwalk. All the better to add objectification and insecurity to your psyche right? You also need to pay extra to do certain catwalk activities, adding an extra frisson of ‘My Mum’s richer than your Mum’, into this already questionable mix. 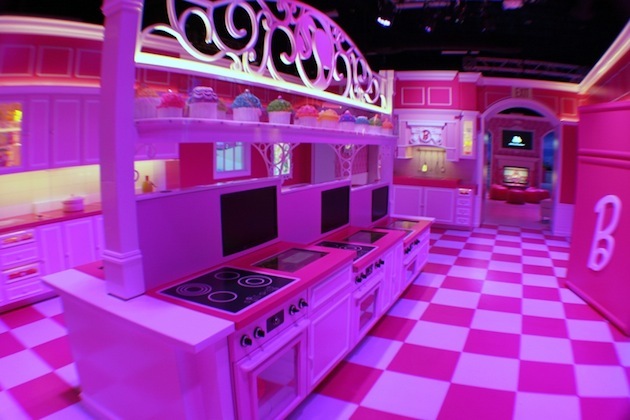 There’s also a store (called The Boutique) so you can y’know, and they have a themed cafe for sticky pink cupcakes with Barbie’s motif. Don’t let my pessimism deter you from a visit, as there’s actually a bunch of cool stuff to see as well. 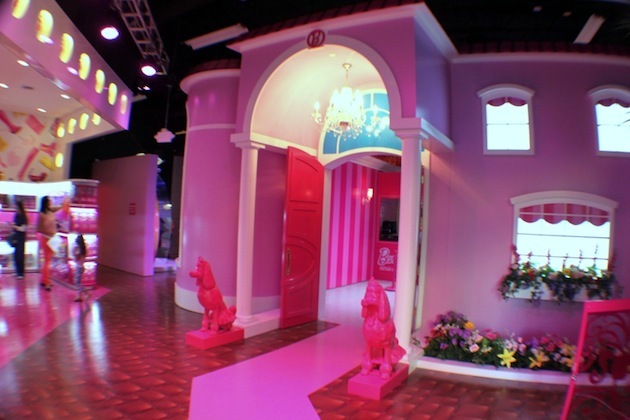 You enter through a hot pink elevator which lifts you from section to section, and reminds me of the plastic miniature version I had growing up. There’s also over 350 limited edition dolls to feast your eyes on, many memorabilia pieces dating back decades. They’ve also integrated technology into the house in a really charming way. 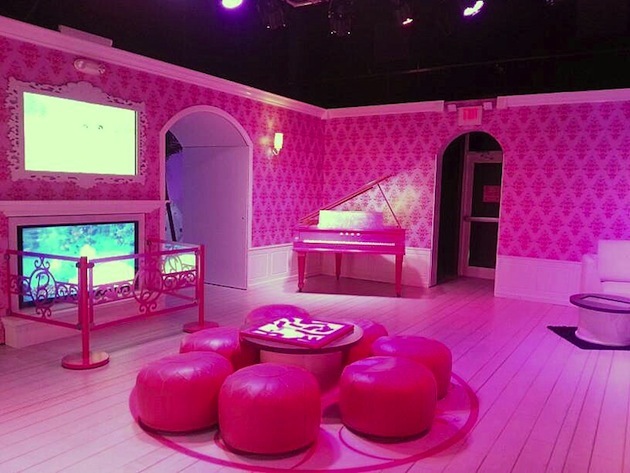 A selection of style booths lets you virtually try on makeup colors, the kitchen area lets you bake a virtual cake and the walk in closet lets you mimic styles in the interactive mirror. The DreamHouse opens from 10 a.m. to 10 p.m. every day, and the Berlin house shuts shop on 25 August. Price-wise, around 15 Euros for adult, and 12 Euros for kids, and the same corresponding amount in Florida. This is a floorplan of the actual house. Repeat, this is not a mockup!